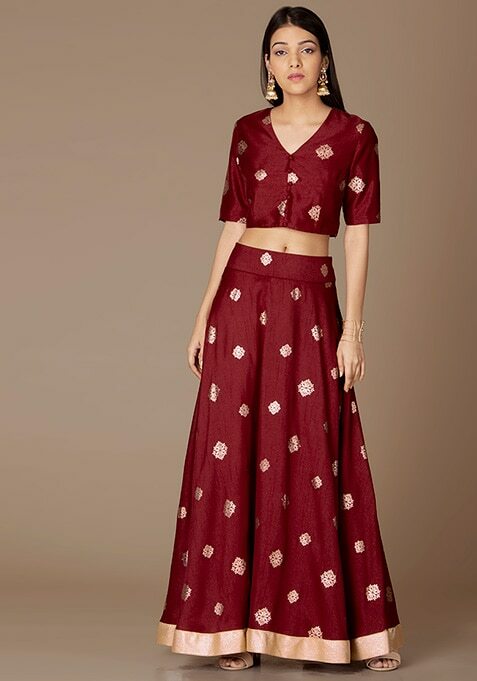 Get in the festive mood with this oxblood maxi skirt that is a season's must-have for every diva. Features foil print and gold stripe border. Work It: Style this gorgeous skirt with a matching crop top to look stunning.